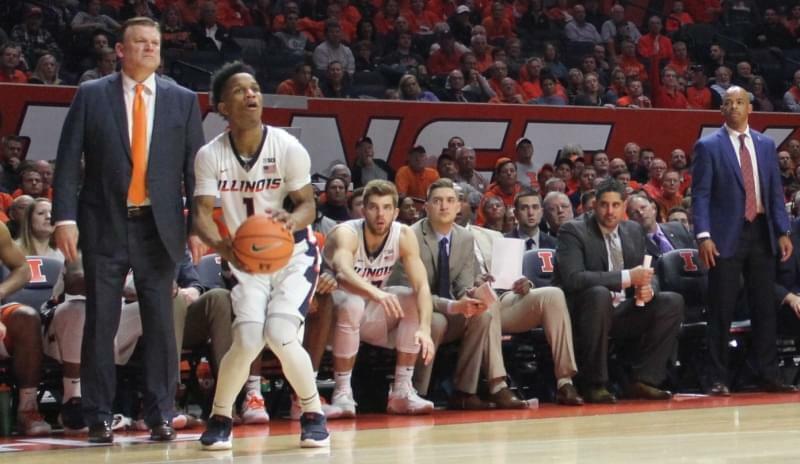 Former Illini Deron Williams (far right) watches Kipper Nichols score three of his 19 points Tuesday night versus Rutgers in a 91-60 Illinois win. 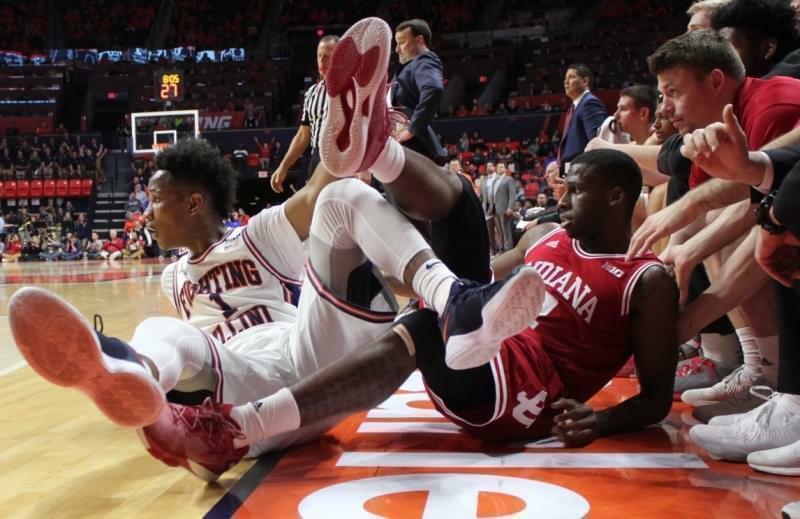 The Illini men's basketball team finally enjoyed a good shooting night, hitting 57-percent of their shots in a 91-60 blowout over the bruised & battered Rutgers Scarlet Knights. Trent Frazier hit five first-half three-pointers, and Kipper Nichols scored a dozen second-half points, tag-teaming the road-weary visitors. Illini coach Brad Underwood was thrilled to see Nichols succeed. 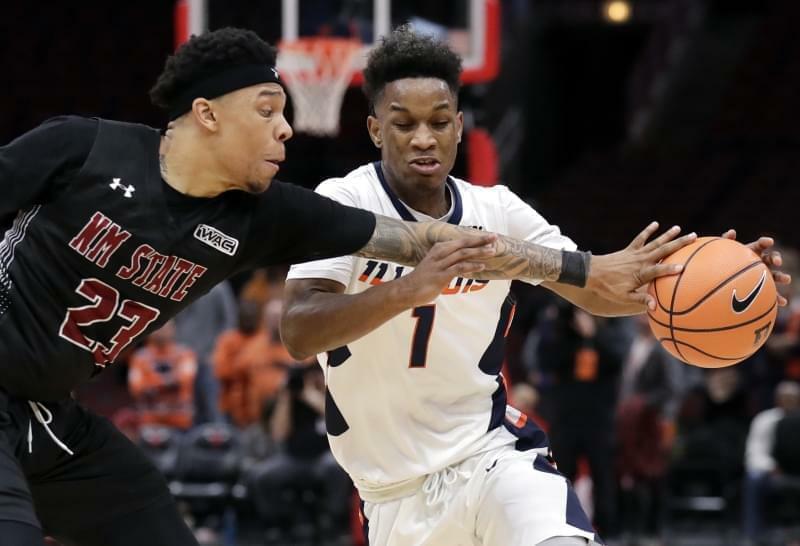 Nichols tied the Scarlet Knights' Geo Baker with a game-high 19 points, led the Illini with three steals, and also grabbed a game-high six rebounds. He said the team's improvement — and his personal development — come from attention to detail, and learning the hard way. "We've been through a lot of trials and tribulations," Nichols said. "Honing in on scouting reports, things of that nature. I think that's been part of my maturation as a player." 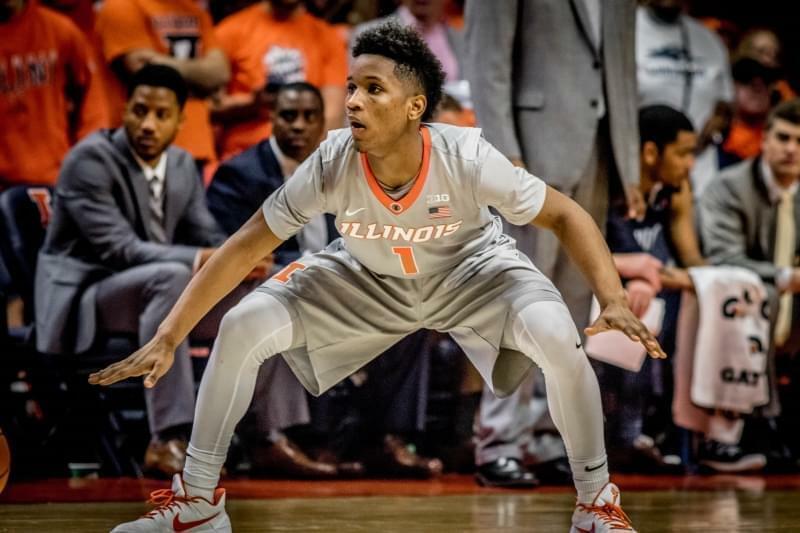 Frazier finished with 17 points and four assists for the Illini. 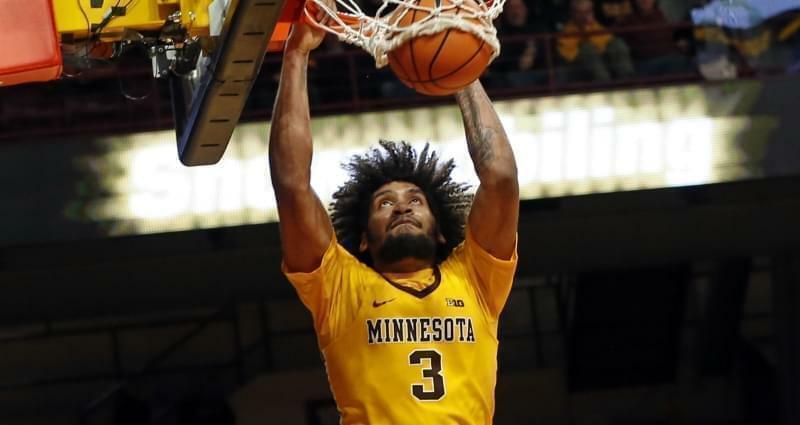 Leron Black added 14 points, Mark Alstork chipped in 12 points on 3-of-6 three-point shooting, and Michael Finke also finished in double figures with 11 points. Rutgers got 10 points apiece from Corey Sanders and Deshawn Freeman. The Scarlet Knights began the game without senior captain Mike Williams, out indefinitely with a severely sprained ankle, suffered January 13th. Then Rutgers lost sixth man Eugene Omoruyi, who dislocated his knee in the first half and had to be carried off the court. Omoruyi averages 8 points and 5 rebounds for Rutgers, shooting a team-high 46-percent from the floor. 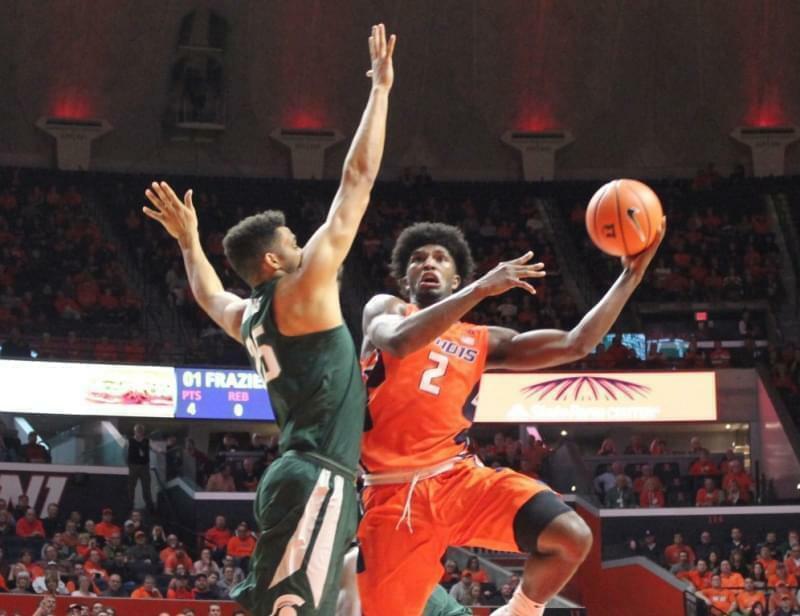 With the win, Illinois dragged Rutgers into last place in the Big Ten. Rutgers is now 2-9 in conference play, and Illinois improves to 2-8. Overall, the Scarlet Knights are now 12-12, and Illinois 12-11. 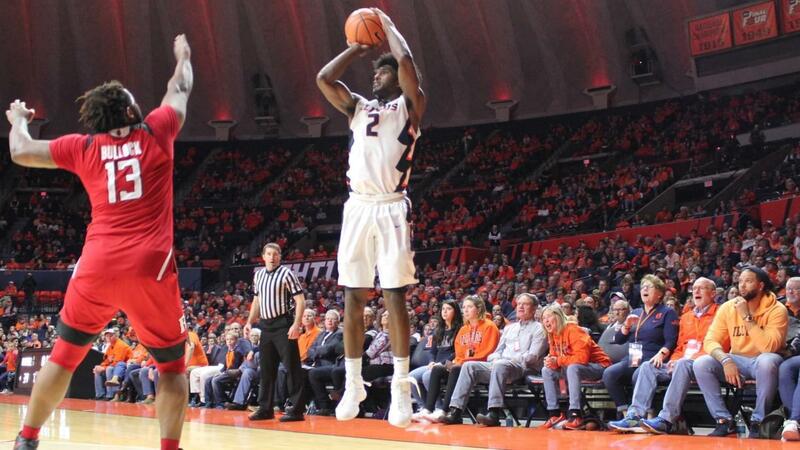 The Illini return to action Sunday morning at nationally-ranked Ohio State. That game tips at 11 a.m. CT.